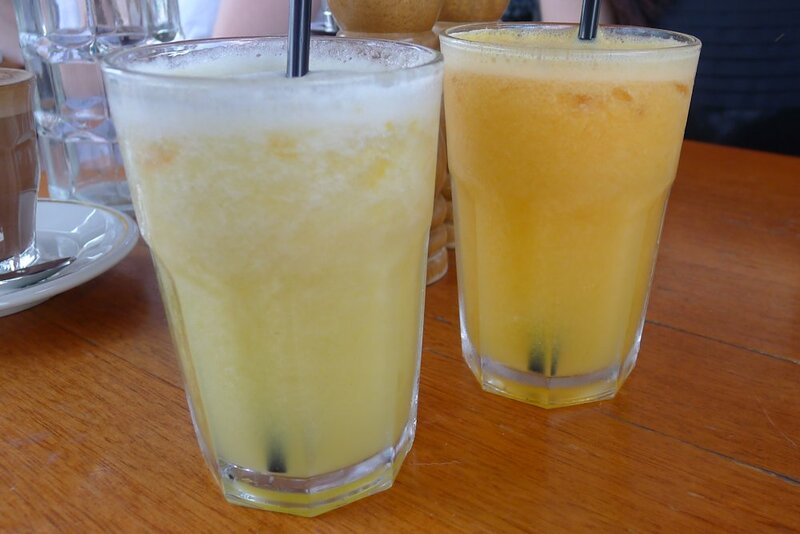 Whatever your fresh juice pleasure, Sea Bar will oblige. They are all freshly squeezed and chilled with ice. Mix them how you please. 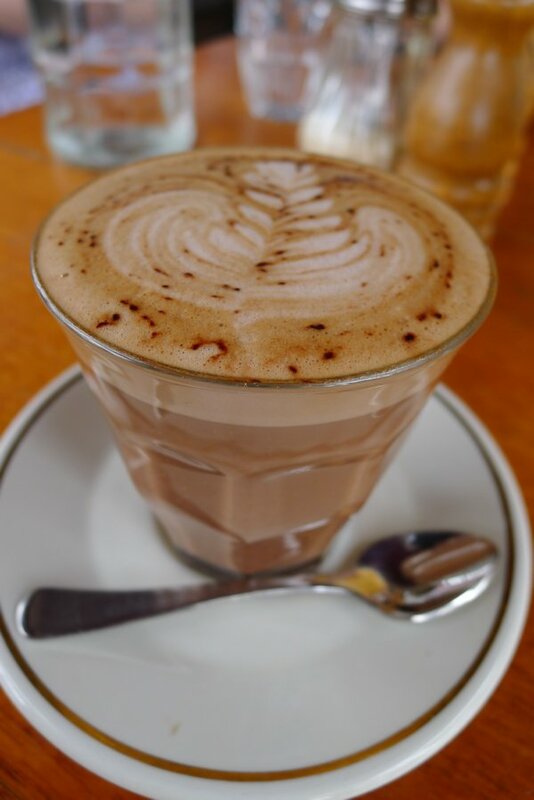 I was joined this week by a seasoned mocha drinker and she had only good things to say about her beverage. Great beans with a rich flavour and enough chocolate to tide her over! 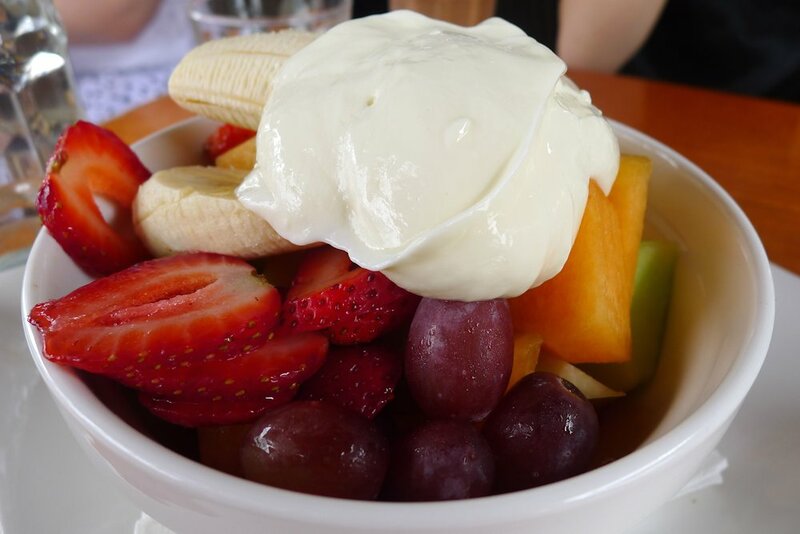 The seasonal fresh fruit salad ($10.90) is served with yoghurt on top and honey on the side. While it didn’t have the best presentation of salads we have seen in the past (see Bather’s Pavilion or Counting Sheep), there was a great selection of fruit and it was all ripe & fresh). 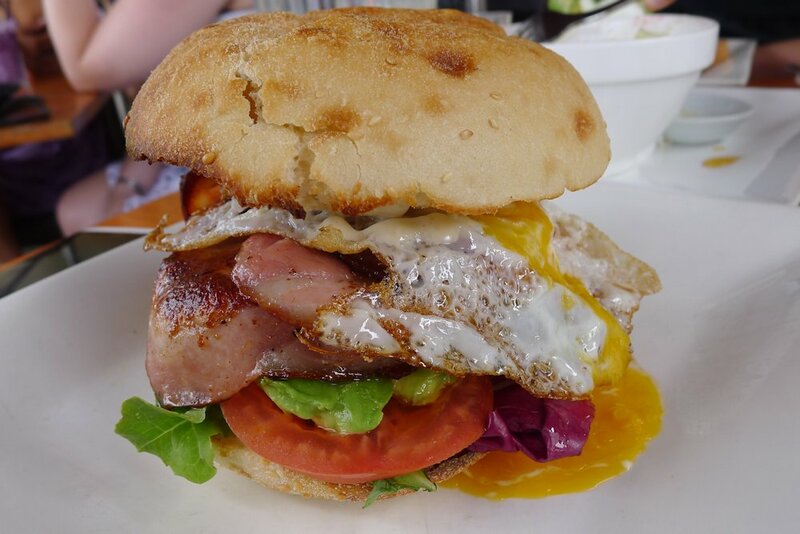 I always find it hard to resist converting a BLT ($9.50) to a BLEAT (bacon, lettuce, egg, avocado, tomato) when I see it on a menu. The kitchen did a fine job in serving this behemoth which looked great despite its size. The taste was even better, sparked by a seeded mustard aioli that really worked well with the bacon and avocado. For those who want something different but more elegant than what I ordered, the Sea Bar avocado sourdough toast ($14.90) is a good choice. 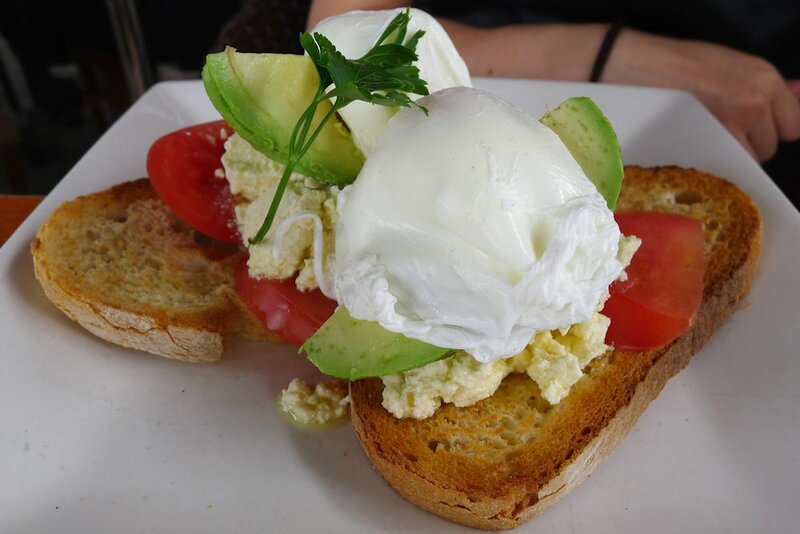 The toast is topped with a generous serving of Persian feta, avocado, tomato and two poached eggs. The eggs were poached just right, the yolk adding moisture to the dish. The feta was smooth if a bit rich, but overall a satisfying dish. Other delights on the menu include the Dee Why Beach big brekky (eggs, bacon, mushroom, tomato, hashbrown, chicken chipolata sausages and sourdough, $16.90), high energy breakfast (fresh herbs and ham scrambled in four egg whites, lamb cutlets, roasted tomatoes and rye, $19.90), Spanish omelette (chorizo, leg ham, bacon, tomato, olives, basil and cheese with multigrain soudough, $15.90) and French toast (with bacon and maple syrup, $13.50). Sometimes the big crowd in the small space can become a bit stuffy and I had to take a star off for charging a surcharge on Sundays (because it’s so uncommon in our experience) so if you can get here on a weekday, that is probably your best option. 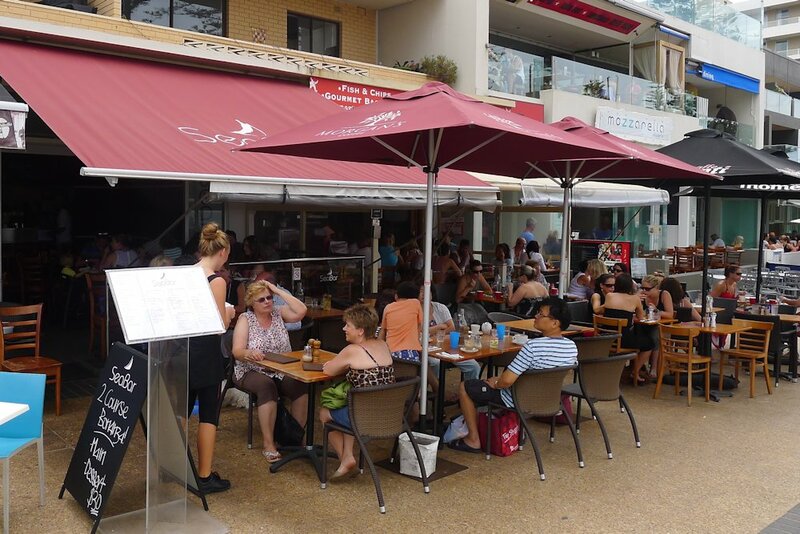 However for tasty food with a great seaside view, Sea Bar is a top spot.